Lee Ka-sing - selected photographs from the series "50 Gladstone Avenue 吉石大道50號, a macro and micro documentary in present tense"
Can we build a carousel of vocabulary in images for the written words? With this thinking I started the project PictureWords in 2014, which began a visual exploration into the Chinese writing system. Fundamentally, Chinese characters were created using a combination of phonetic, ideographic and logographic elements. Over thousands of years these characters have evolved into more sophisticated and complex forms, while their primeval forms recede in time. As images, here's my recent rendition of Lee Yu's (李煜 937-978 AD) Happy Together《相見歡》. I took the second verse The moon is like a hook and created this series of three pictures. 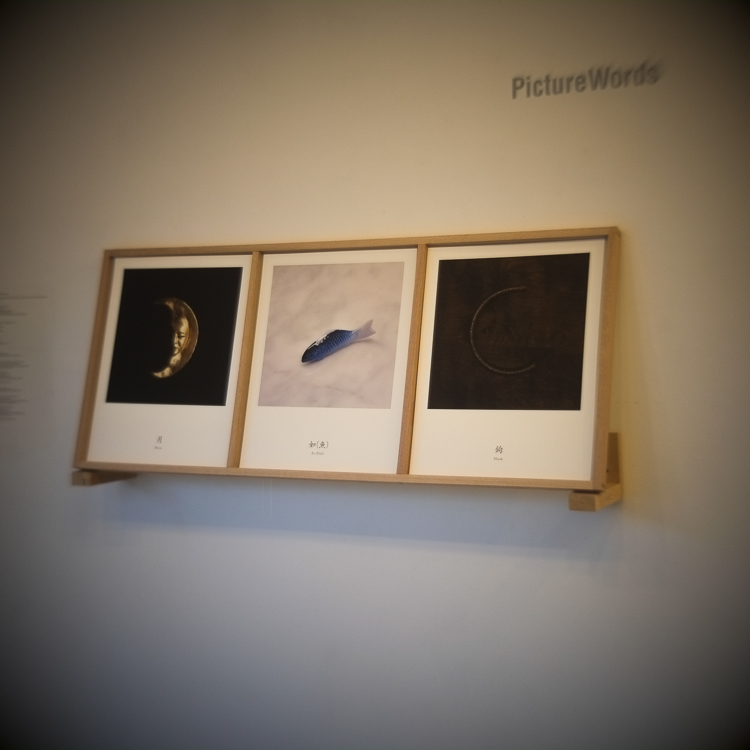 PictureWords prints are archival pigment prints, 17x22 inch and in the edition of five. During our visit to Turkey in October 2018, we went four times to Kadıköy, a rising district on the Asian side of Istanbul. We went there for Çiya Sofrası, a restaurant famous for its Anatolian cuisine. Çiya is located in bustling Kadıköy Market on Güneşli Bahçe Street. It features a fish market and numerous cafes, bars, and restaurants. An old books store is opposite one of the three Çiya Sofrası, where we tasted our first amazing dinner, and subsequently went back for the other two. This album of stereoscopic pictures of Istanbul was found in that bookstore. An image which was specially created for the poster of an event - NEW IMAGES FROM HONG KONG, an exhibition featuring works of eight photographers (Karl Chiu 趙嘉榮, Almond Chu 朱德華, Alfred Ko 高志强, Holly Lee 黃楚喬, Lee Ka-sing 李家昇, Patrick Lee 李志芳, Yvonne Lo 廬婉雯, Ducky Tse 謝至德 ), held from May 31 to July 14, 1996, Tower Gallery, Yokohama. Curated by Ilzawa Kotaro. The image for NEW IMAGES FROM HONG KONG poster was produced similarly to the way of printmaking. I provided the client with two pieces of master image in black and white, with instruction that, one to be printed in spot colour “red”, the other “blue”. There were registration markings. The key image of both plates were almost identical, only different in some small elements. A certain part of these two images were slightly off-registered intentionally giving an effect, a bit like the low end 3D image in the old days. Showing here, on the left is the earlier version, the image on the right has been revised and comes very close to the final. In the nineties, I used photocopying machine very often for my imaging works. Multi-layer images were achieved by putting the same piece of paper passing through the machine a couple of times. I was using an A3 size Minota mono colour photocopying machine, which I could switch cartridge for spot colours. These two vintage electrostatic prints are measured 11.75"x16.5" each, printed on plain paper, overlapped with two spot colours (red, blue). Originally for proofing purpose, they serve also as a reference for the mass-produced offset printing process. Computer books are publications that become obsolete the fastest. Once there is a new operating system, the older books become outdated and end up in the recycle bin. Our friend Gary Michael Dault always shows us, and feels proud of, his many note books. Over ten years ago, he had an exhibition at our gallery of his work in a series titled “One minute landscapes painted on cereal boxes”. He is one of those artists who can paint on almost any kind of recycled materials, from wood to paper, and turn them into pieces of art. Back in 2003, while we were cleaning up our book shelves, we gave him an outdated but almost brand-new computer system manual. We were joking about giving this new piece of trash a new life, suggesting him to use it as a canvas for his note book alike. After a few months, he finished one third of the pages. The book was turned into a piece of sculptural object. We showed this half-finished piece at the gallery. This picture was taken in that occasion. A Holly Lee and Lee Ka-sing online magazine. Published on Fridays. Selective items in this publication are available at the OCEAN POUNDS online shop. For items featured in CURRENT WORK, VINTAGE, ARTIFACT, PUBLICATION, OBJECT, BOOKSCAPE and COLLECTION, please send a request to: mail@oceanpounds.com. If you are a researcher or writer and want to use the material, please write us in advance. Some of the materials might have different level of copyrights involved. leekasing.com is a portal website for current and earlier works. Apart from exhibitions, Holly and Ka-sing use extensively web platforms to display photography and writing projects. Contact us for a detail list of links. Holly and Ka-sing currently live in Toronto with their daughter Iris, and their cat Sukimoto.